The Earth gets hit by dangerous meteors, like the one that injured 1,600 people in Russia earlier this year, four or five times more often than previously thought, new studies suggest. Scientists studying the terrifying meteor that exploded without warning over a Russian city last winter say the threat of space rocks smashing into Earth is bigger than they thought. Meteors about the size of the one that streaked through the sky at 67,000 kilometres per hour and burst over Chelyabinsk in February — and ones even larger and more dangerous — are probably four to five times more likely to hit the planet than scientists believed before the fireball, according to three studies published Wednesday in the journals Nature and Science. Until Chelyabinsk, NASA had looked only for space rocks about 30 metres wide and bigger, figuring there was little danger below that. This meteor was only 19 metres wide but burst with the force of about 40 Hiroshima-type atom bombs, scientists say. It released a shock wave that shattered thousands of windows and injured more than 1,600 people, and its flash was bright enough to temporarily blind 70 people and cause dozens of skin-peeling sunburns just after dawn in icy Russia. Up until then, scientists had figured a meteor causing an airburst like the one in Russia was a once-in-150-years event, based on how many space rocks have been identified in orbit. But one of the studies now says it is likely to happen once every 30 years or so, based on how often these things are actually hitting. Lindley Johnson, manager of NASA's Near Earth Object program, told The Associated Press that the space agency is reassessing what size space rocks to look for and how often they are likely to hit. By readjusting for how often these rocks strike and how even small ones can be a threat, "those two things together can increase the risk by an order of magnitude," said Mark Boslough, a Sandia National Lab physicist, co-author of one the studies. In fact, the U.S. government got a new sense of urgency after Chelyabinsk, quietly holding a disaster drill earlier this year in Washington that was meant to simulate what would happen if a slightly bigger space rock threatened the East Coast. In the early part of the drill, when it looked as if the meteor would hit just outside the nation's capital, experts predicted 78,000 people could die. But when the mock meteor ended up in the ocean, the fake damage featured a 49-foot tsunami and shortages of supplies along the East Coast, according to an after-action report obtained by the AP. The exercise and the studies show there's a risk from smaller space rocks that strike before they are even detected — not just from the long-seen-in-advance, dinosaur-killing giant ones like in the movie "Armageddon," said Bill Ailor, a space debris expert at the Aerospace Corporation who helped coordinate the federal drill. "The biggest hazard from asteroids right now is the city-busting airbursts, not the civilization-busting impacts from 1-kilometer-diameter objects that has so far been the target of most astronomical surveys," Purdue University astronomer Jay Melosh, who wasn't part of the studies, wrote in an email. "Old-fashioned civil defense, not Bruce Willis and his atom bombs, might be the best insurance against hazards of this kind." NASA also got a wake-up call this week on those bigger space rocks that astronomers thought they had a handle on, discovering two 19-kilometre-wide space rocks and a 1.9-kilometre-wide asteroid that had escaped their notice until this month. The three objects won't hit Earth, but their discovery raises the question of how they weren't seen until now. The last time a 19-kilometre-wide rock had been discovered was about 30 years ago, and two popped into scientists' view just now, NASA asteroid scientist Donald Yeomans said. He said NASA had thought it had already seen 95 per cent of the large space rocks that come near Earth. What happened in Russia is altering how astronomers look at a space rocks. With first-of-its-kind video, photos, satellite imagery and the broken-up rock, scientists have been able to piece together the best picture yet of what happens when an asteroid careens into Earth's atmosphere. It's not pretty. 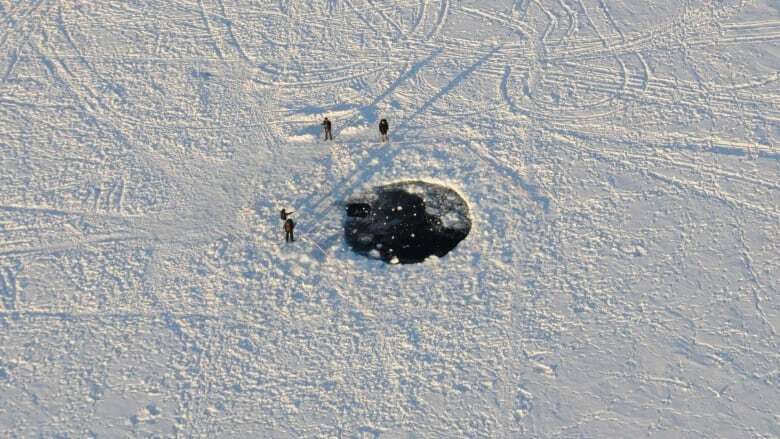 "I certainly never expected to see something of this scale or this magnitude," said University of Western Ontario physicist Peter Brown, lead author of one study. "It's certainly scary." Scientists said the unusually shallow entry of the space rock spread out its powerful explosion, limiting its worst damage, but making more areas feel the effects. When it burst it released 500 kilotonnes of energy, scientists calculated. "We were lucky. This could have easily gone the other way. It was really dangerous," said NASA meteor astronomer Peter Jenniskens, co-author of one of the papers. "This was clearly extraordinary. Just stunning."